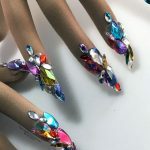 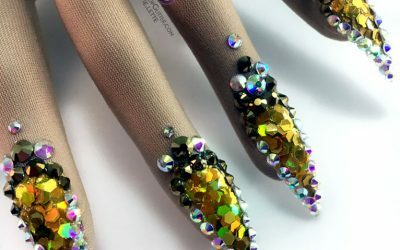 Elegant and dripping in Swarovski crystals with gold embellishments, these nails resemble a stained glass window – but they sparkle even more! 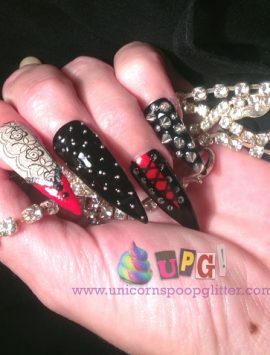 Both lipstick and stiletto shapes are used to create an optical illusion on the hand, guaranteed to elongate your limbs. 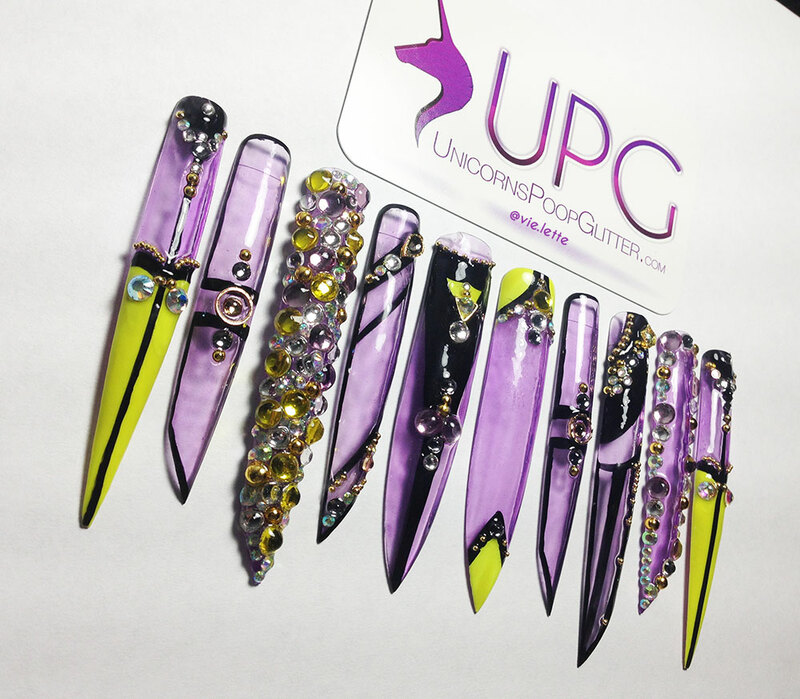 Flashes of neon yellow give a pop of excitement. 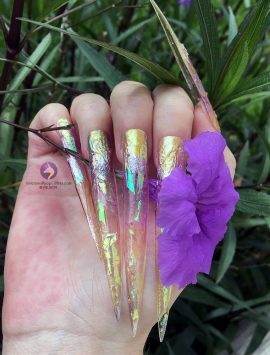 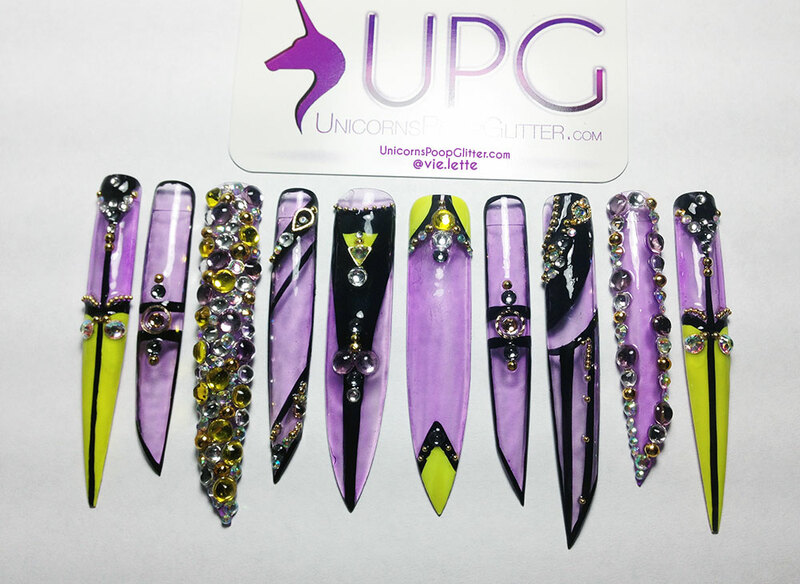 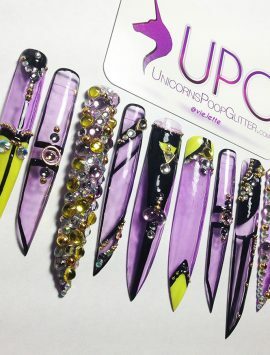 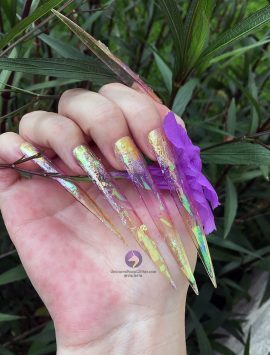 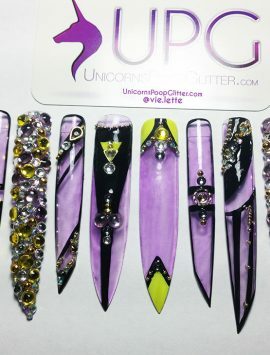 Features Sheer Purple and Neon Yellow High Gloss Polish with Gold, Rhinestone, Swarovski and Austrian Crystal Embellishments. 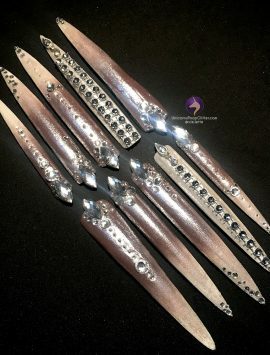 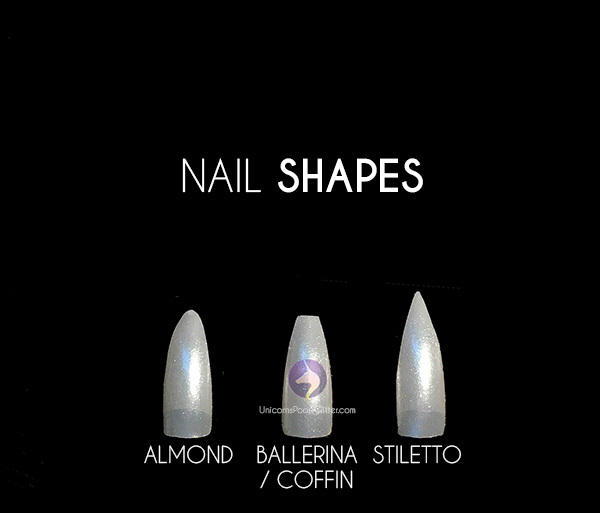 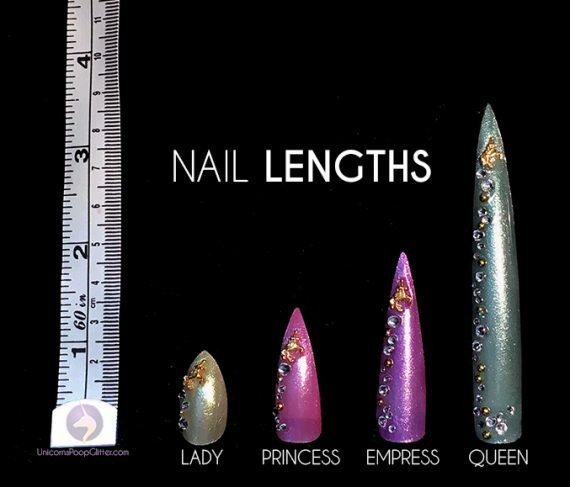 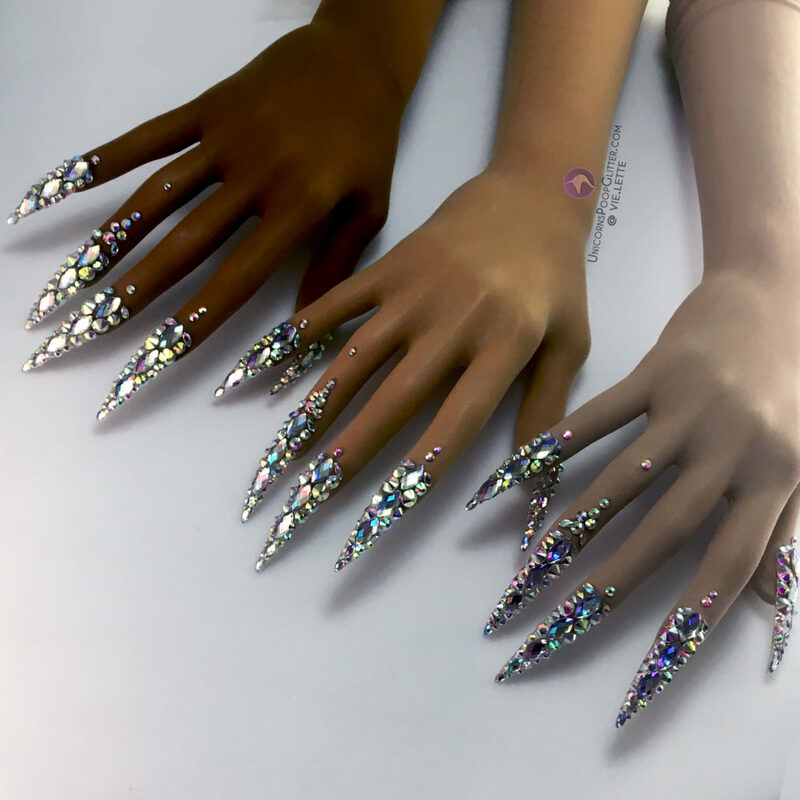 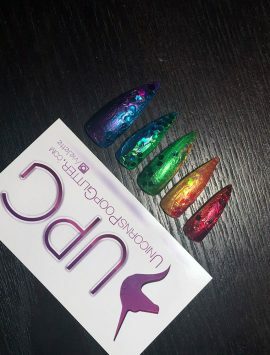 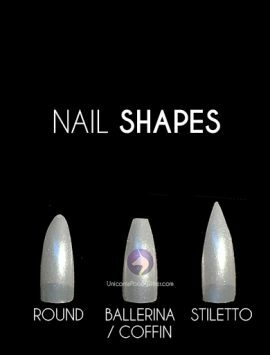 Shown here with Stiletto and Lipstick shapes in Queen length – Perfect for photo shoots, events, or when you just want your nails to be the center of attention. 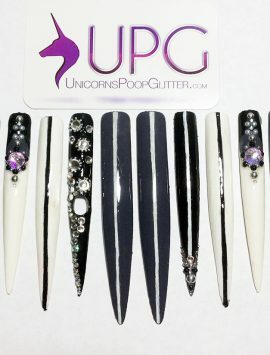 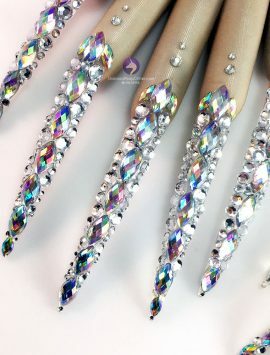 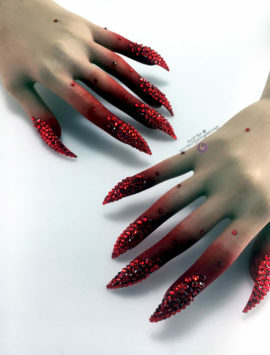 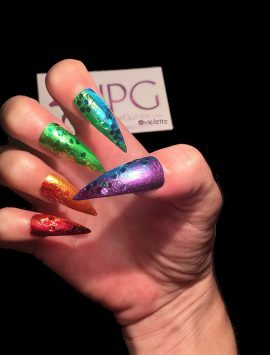 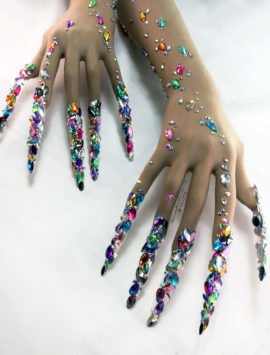 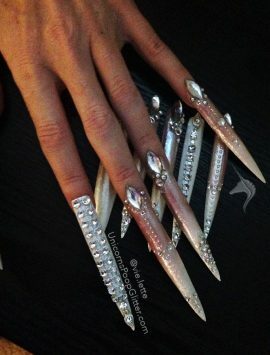 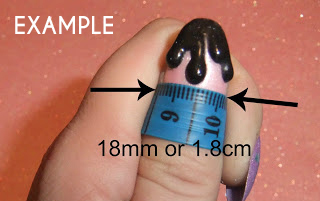 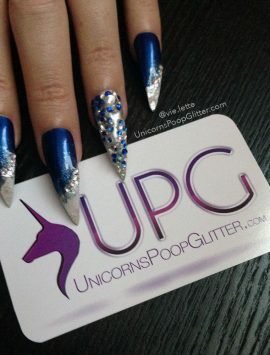 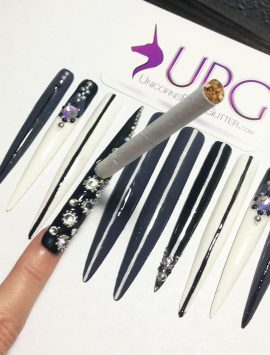 Unique in every way, no one will have nails like you.Please note: This is a stock photo of a previously sold item. 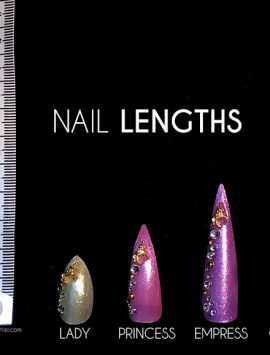 Your item will be made of identical colors and elements but slight variations might exist due to the handmade nature of the product.